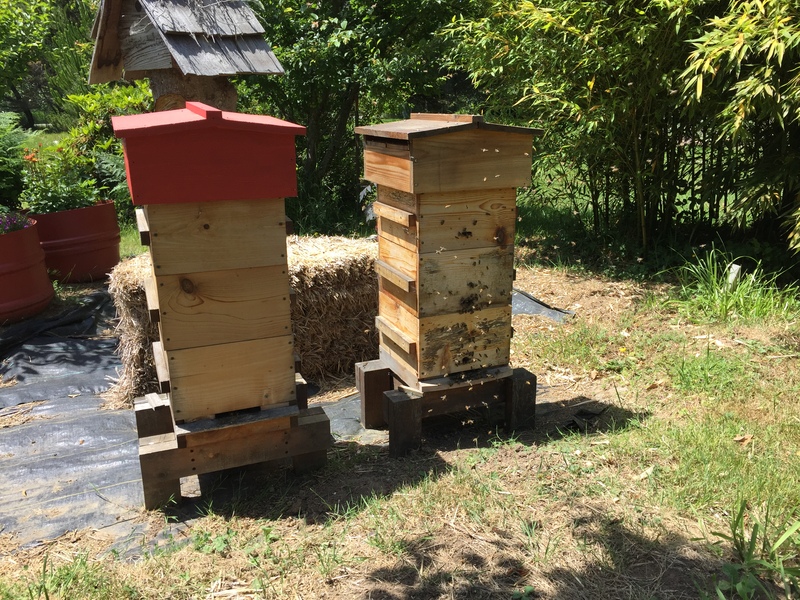 In an effort to get the bees to move up to box #3, I made some ladders. 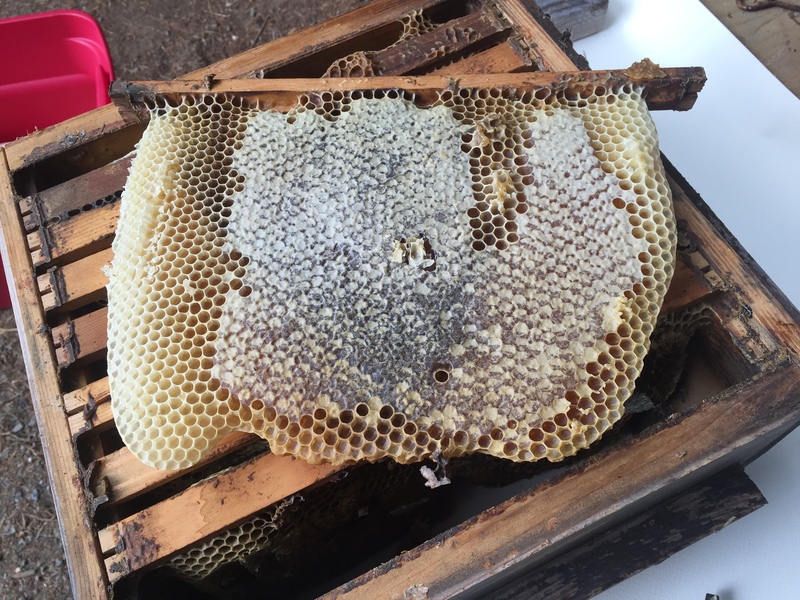 The first two boxes were full. 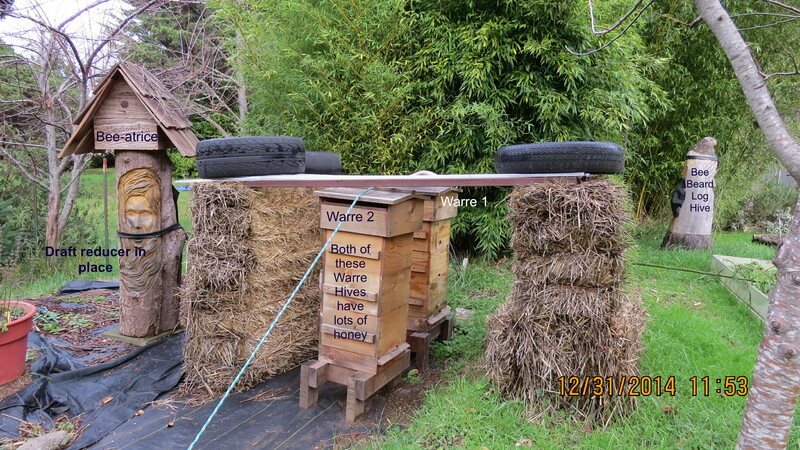 I knew I better give them more room, but they wouldn’t move up…until I added ladders. 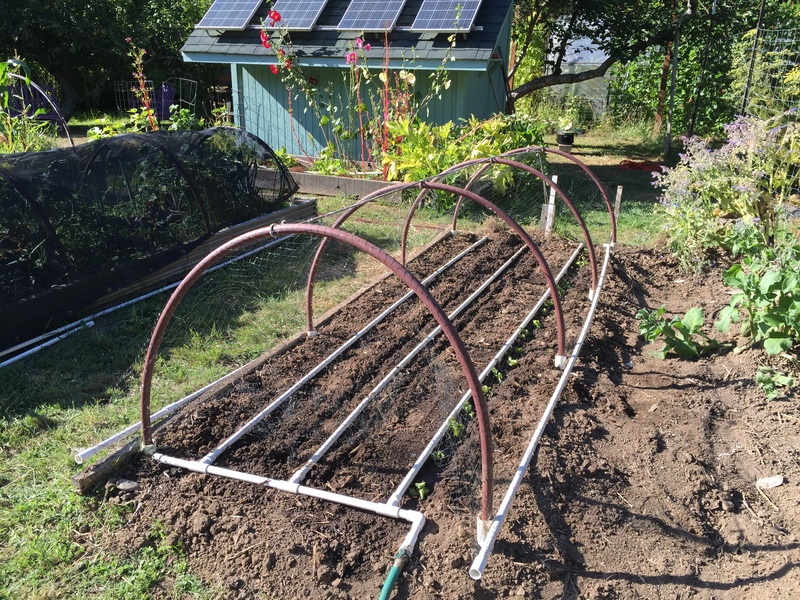 March 24, 2014…I pulled out some bars so I could replace them with ladders. 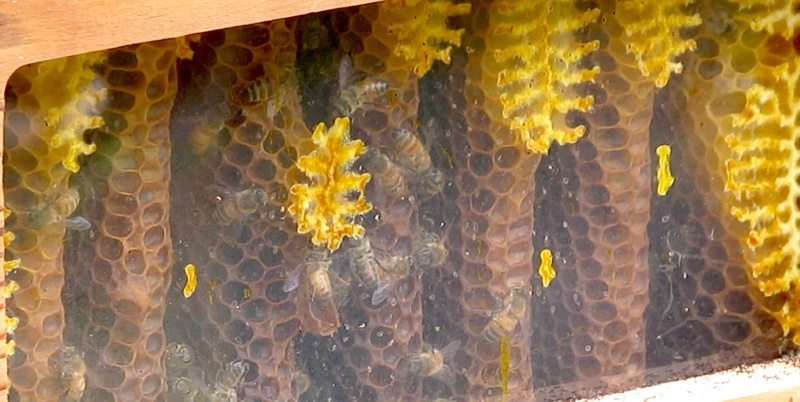 I’m reluctant to use foundation, so I’m being miserly with what I have left in old comb…MY COMB which doesn’t contain any toxins from mite strips, meds, or antibiotics. 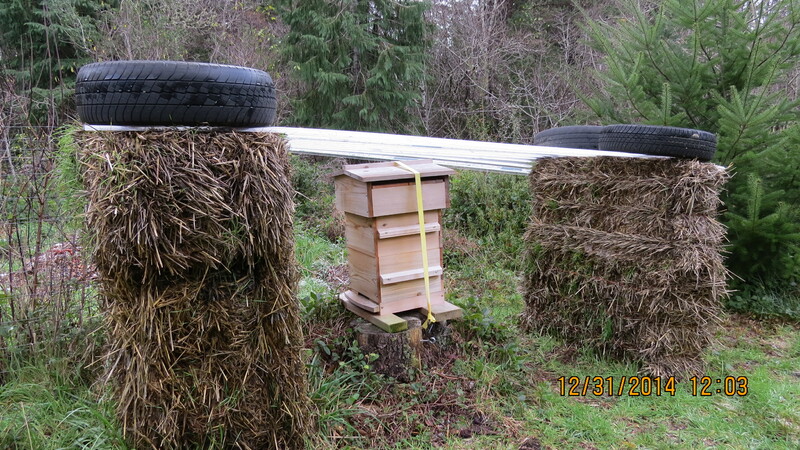 As long as the ladders are 7.5″ (19 cm) they work well. 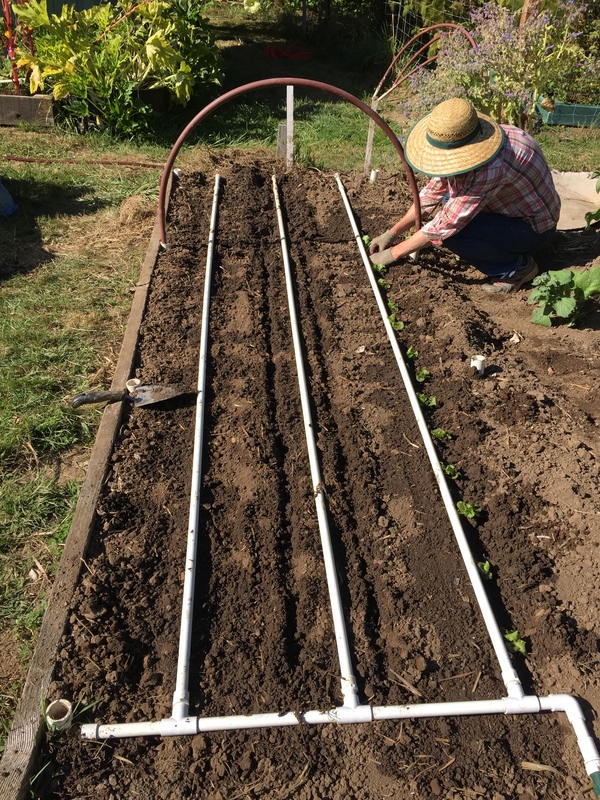 Second ladder is added. 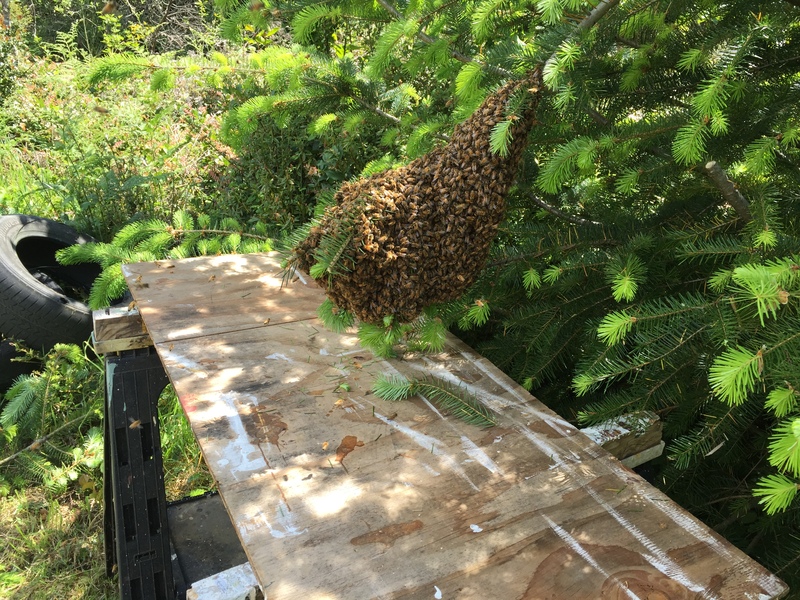 In all I placed about four ladders. 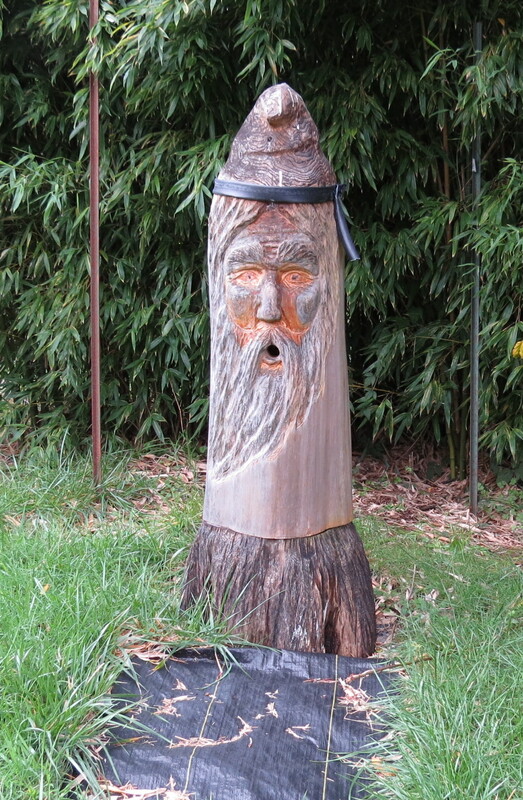 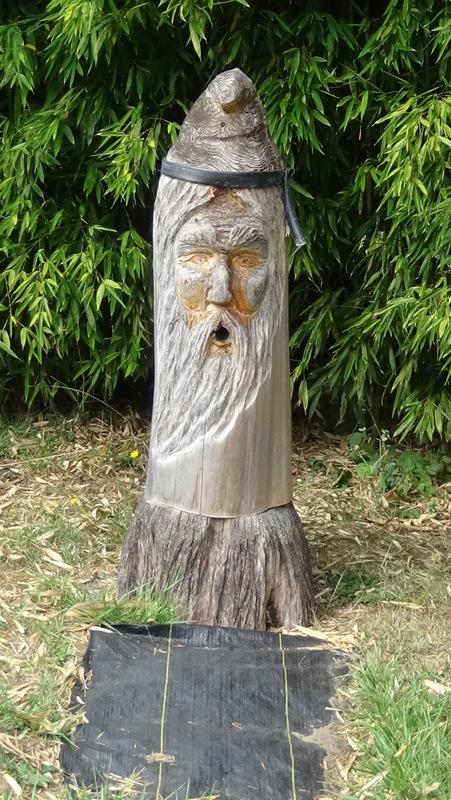 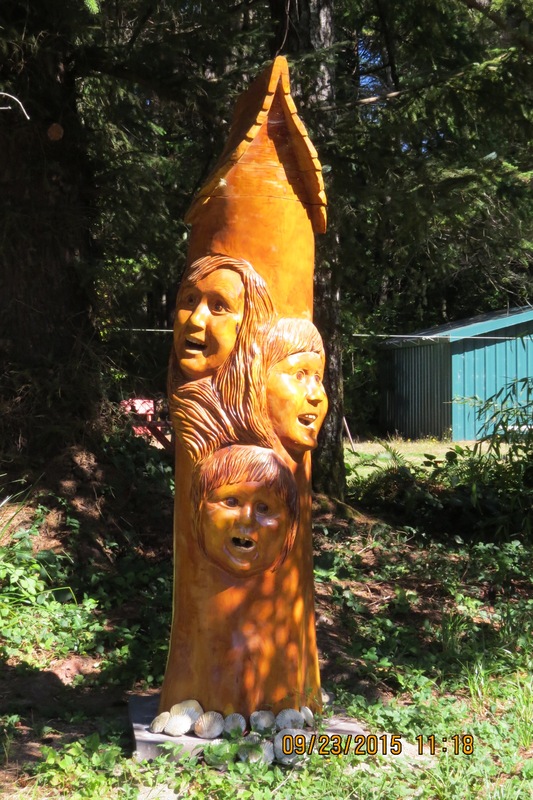 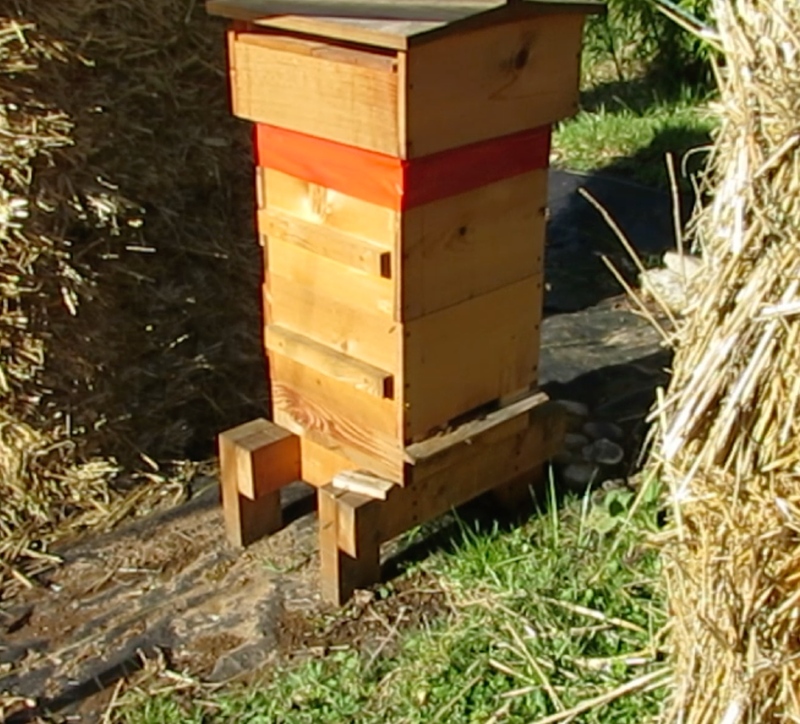 A 7.5″ (19 cm) length of wood is added for stability. 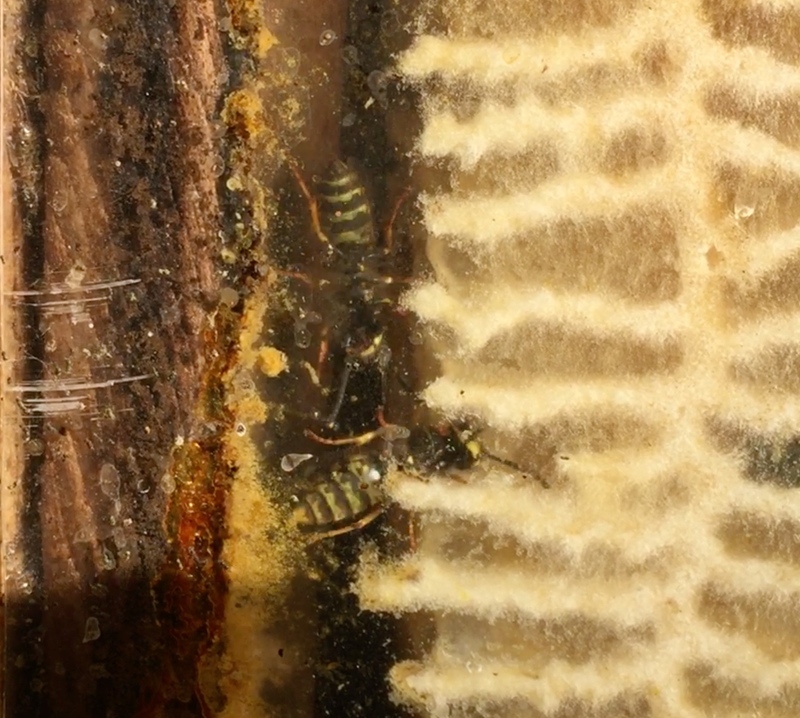 The remaining four bars have small pieces of comb melted on. 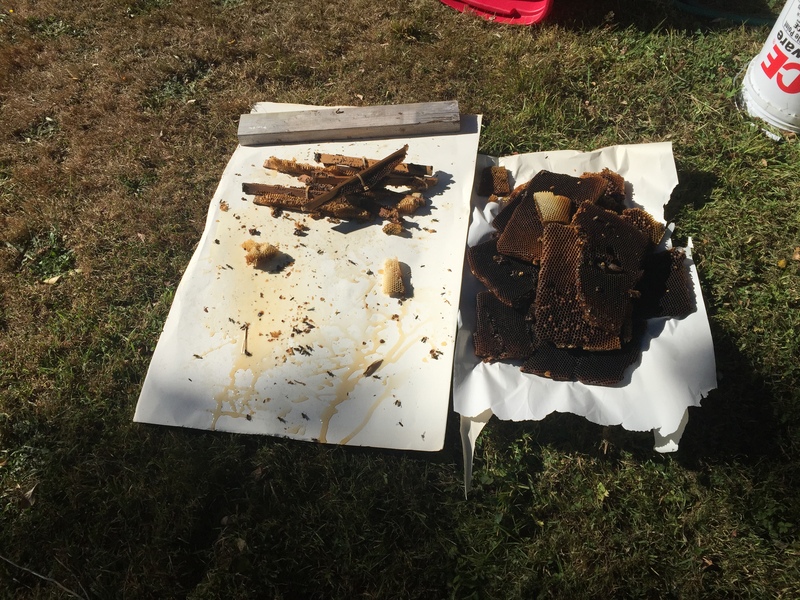 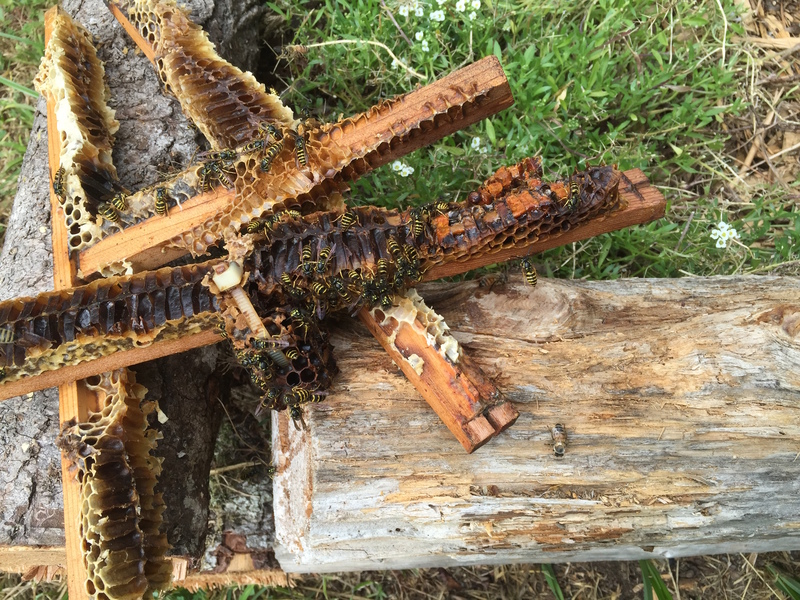 When I have no comb left, I just use the lengths of wood with wax melted on. 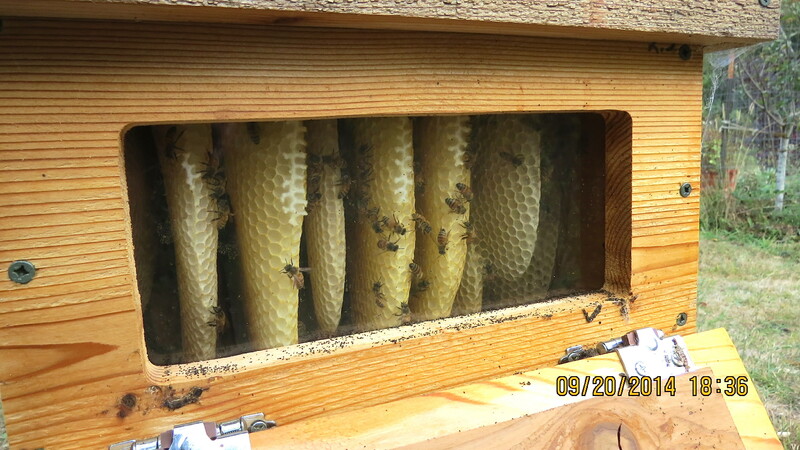 Looking up from underneath the box at the ladders and non ladders. 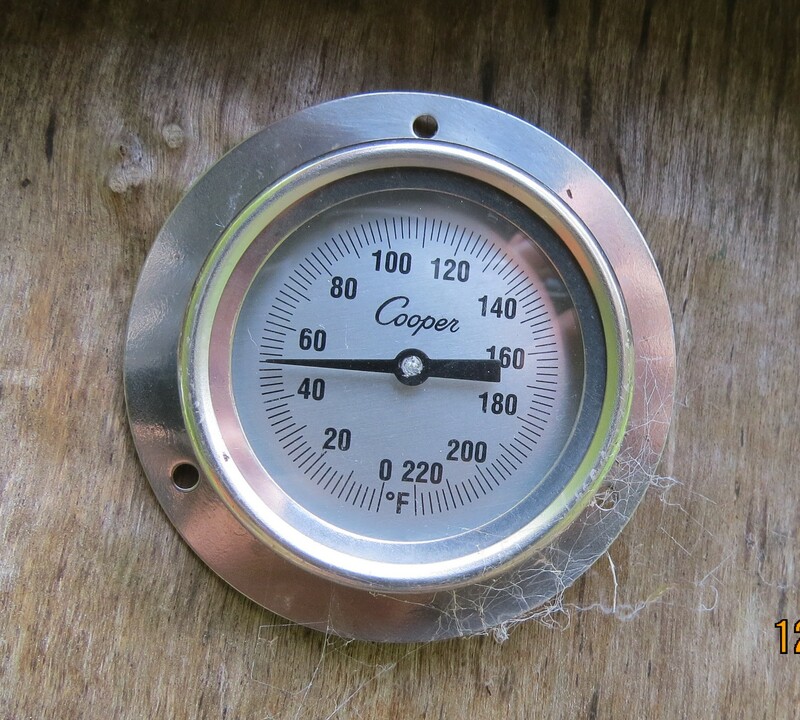 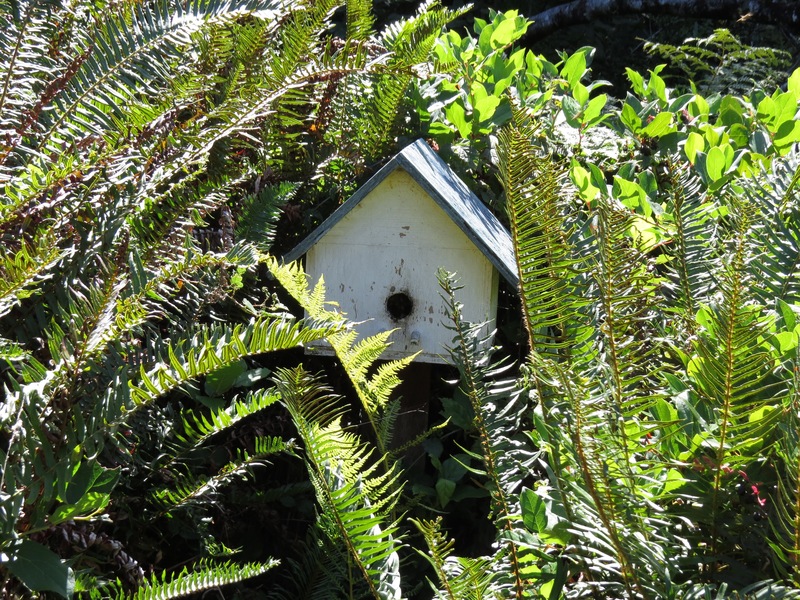 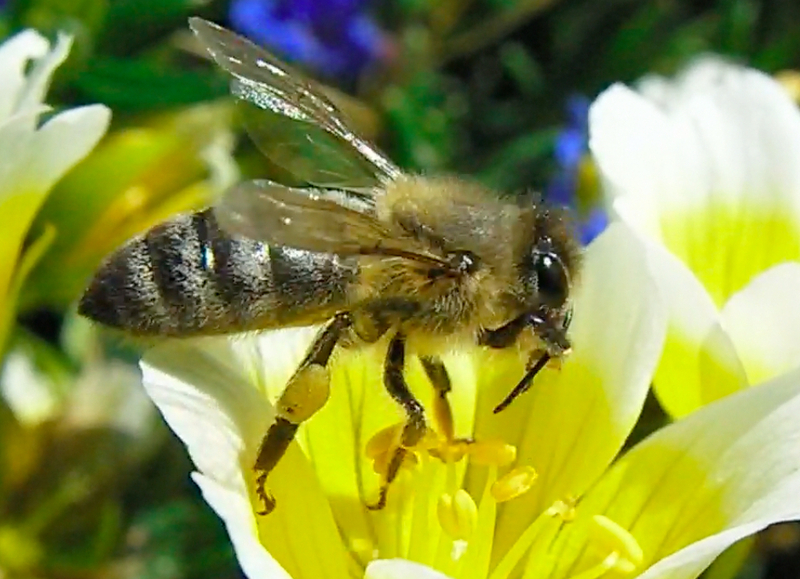 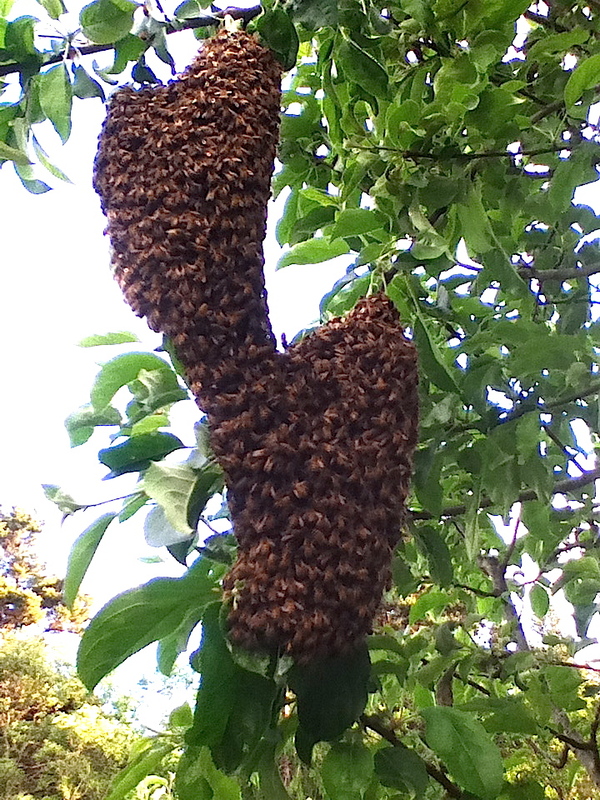 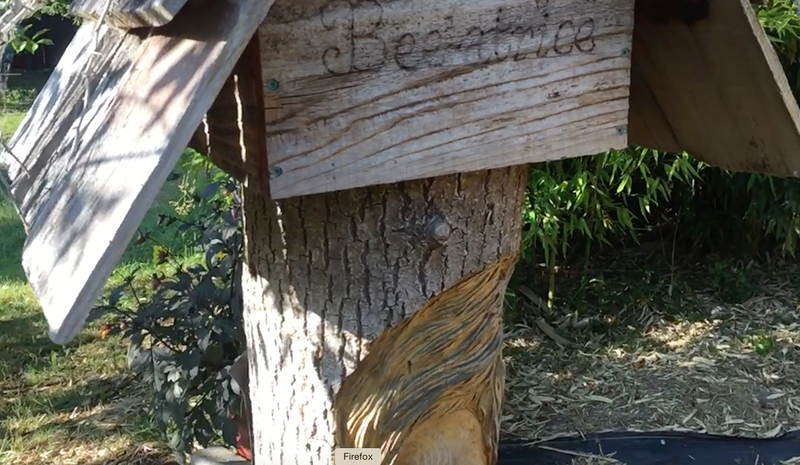 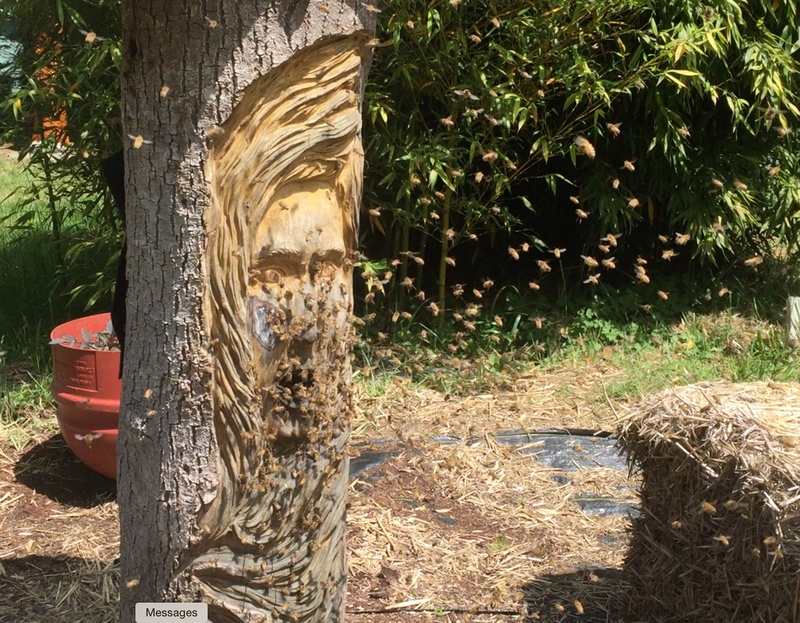 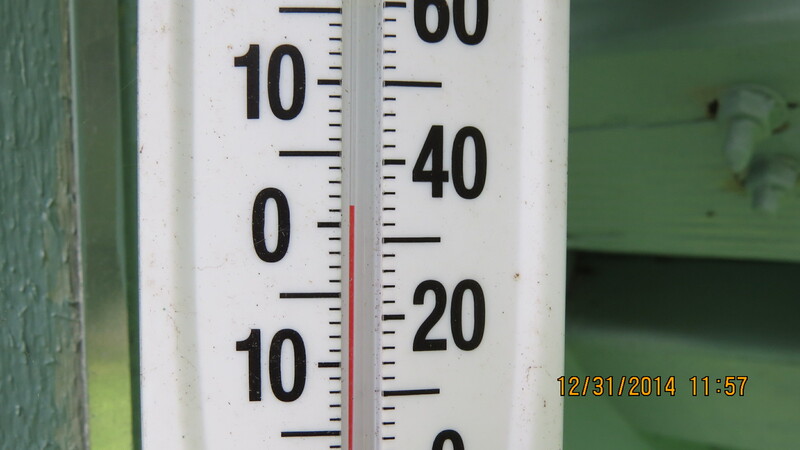 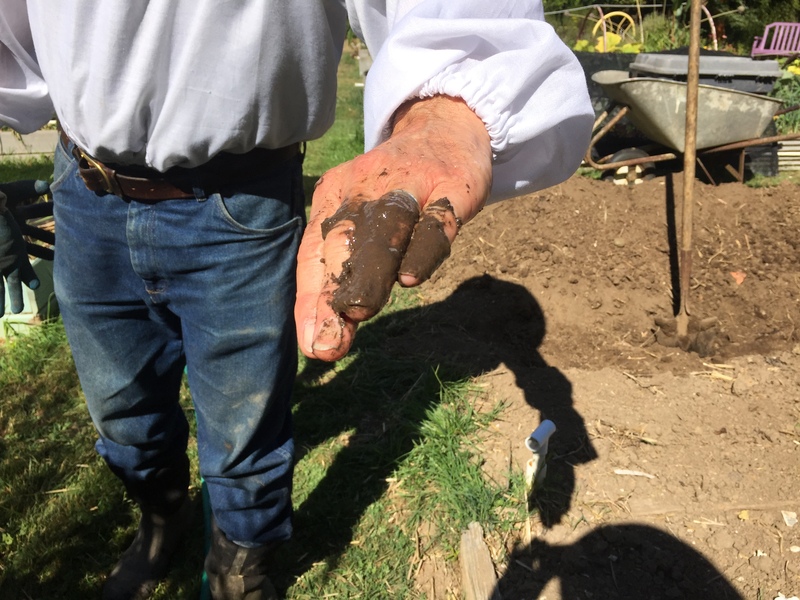 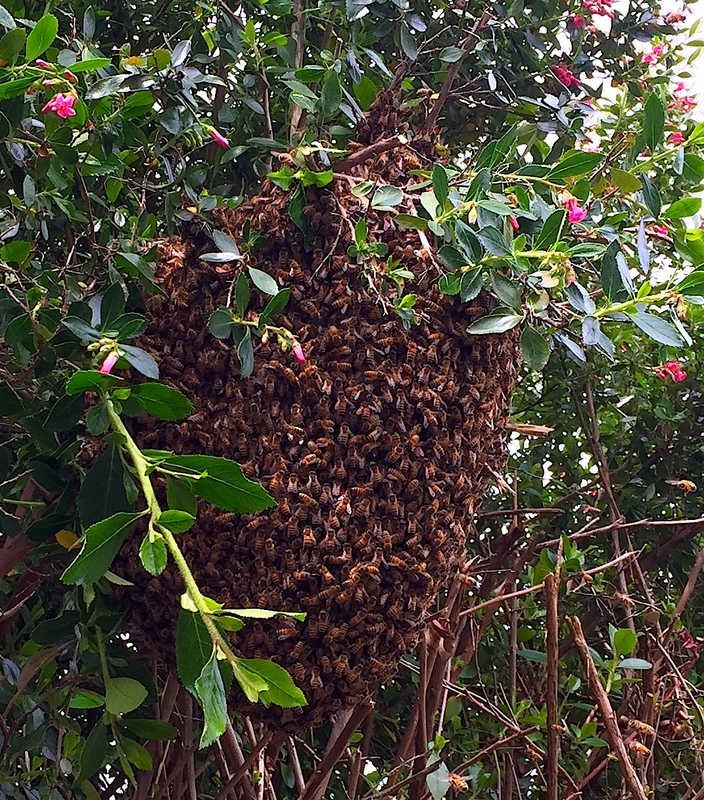 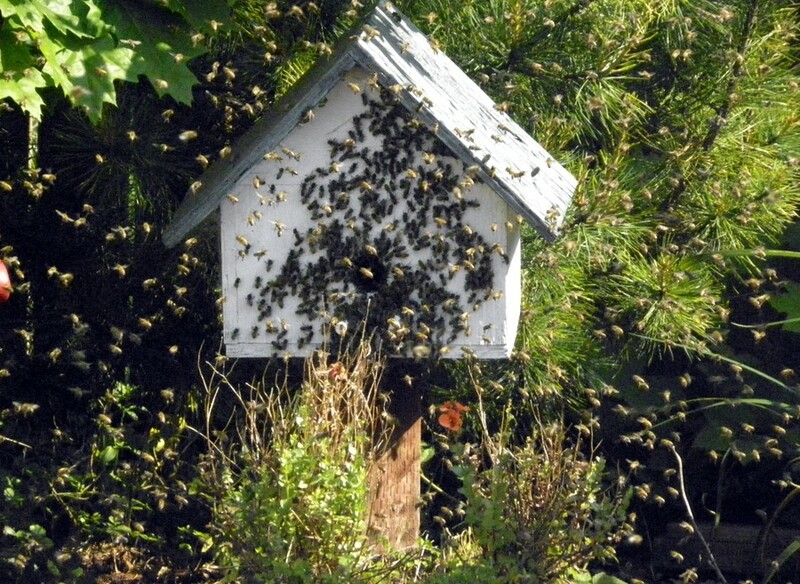 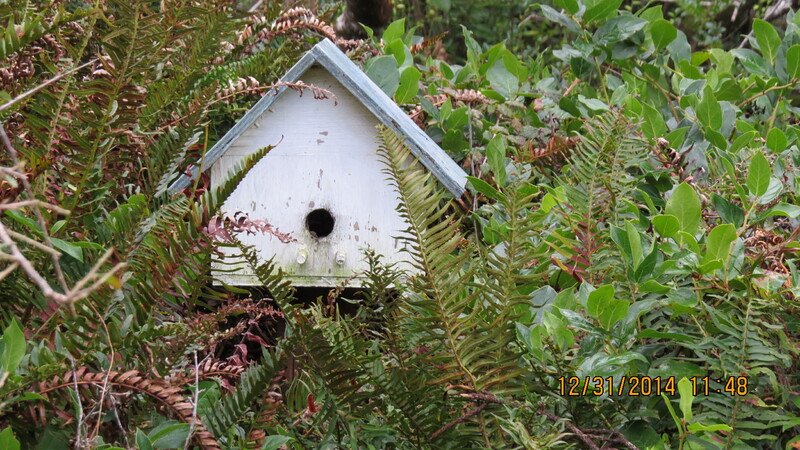 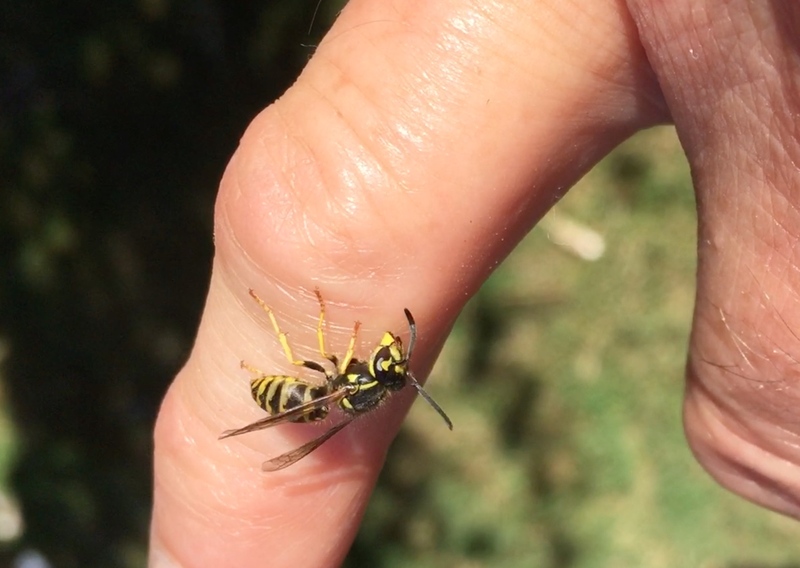 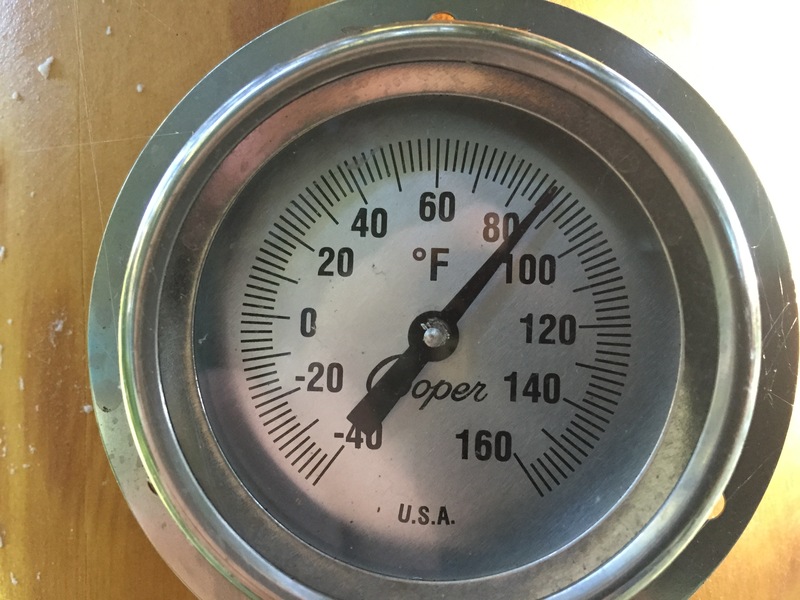 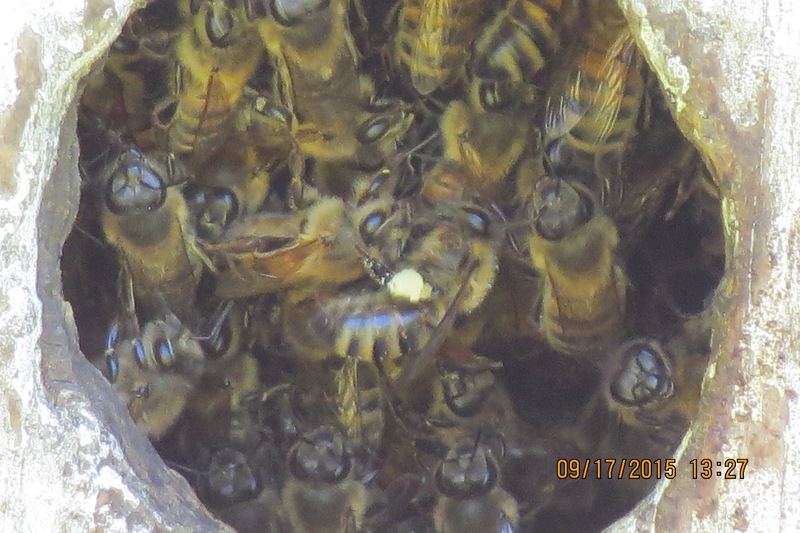 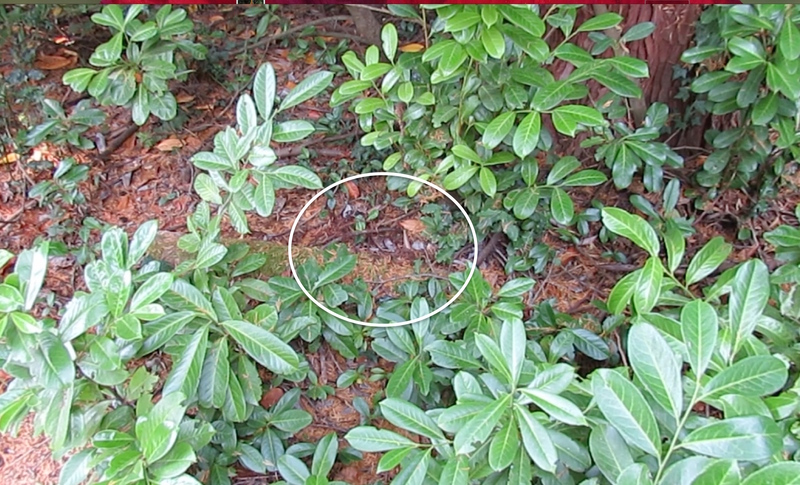 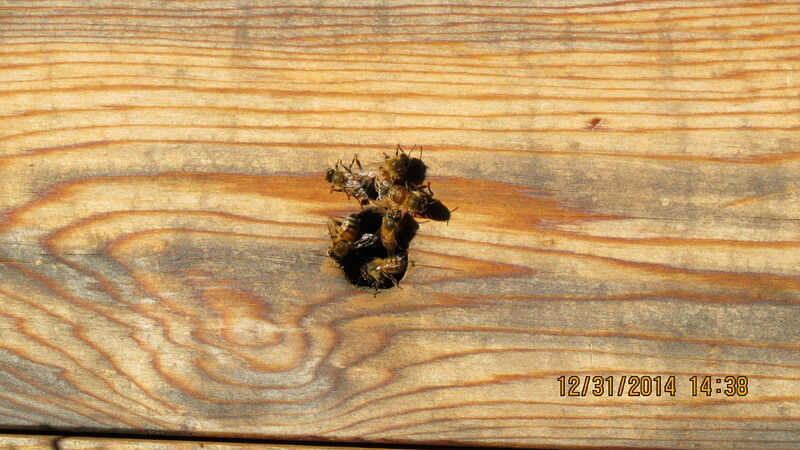 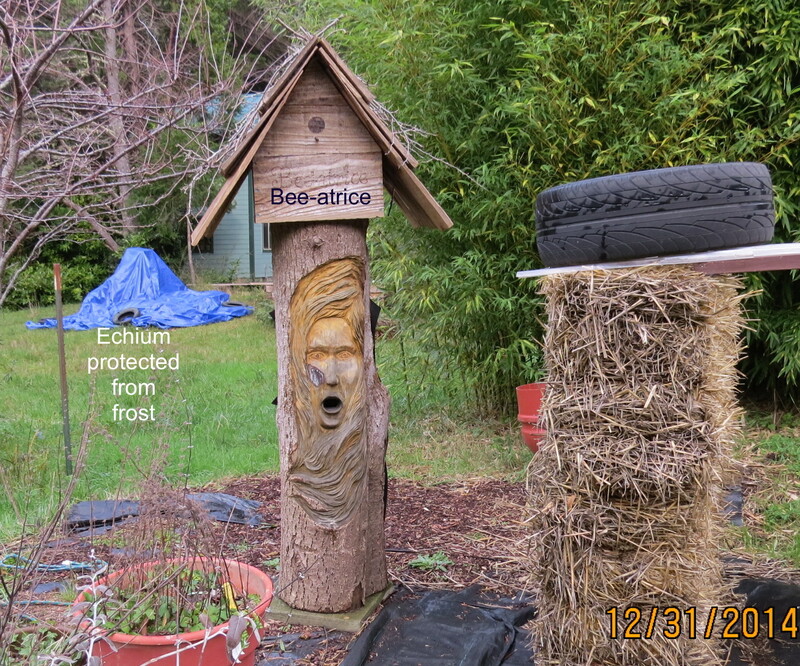 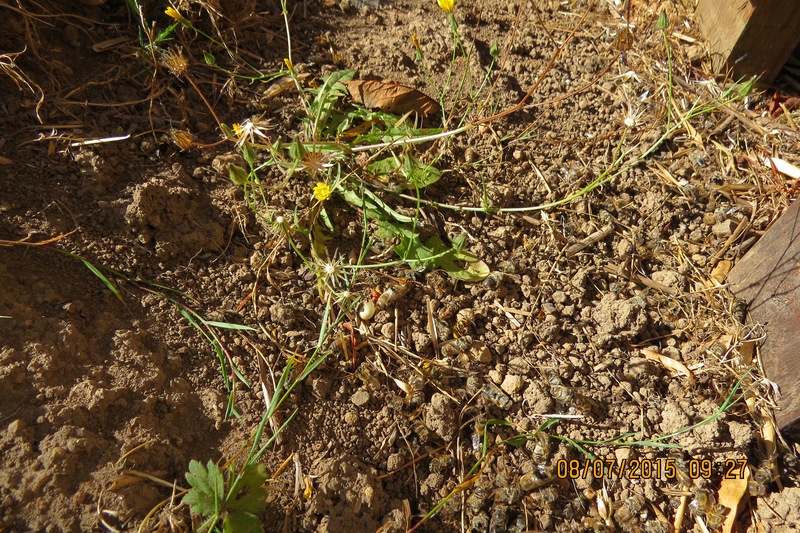 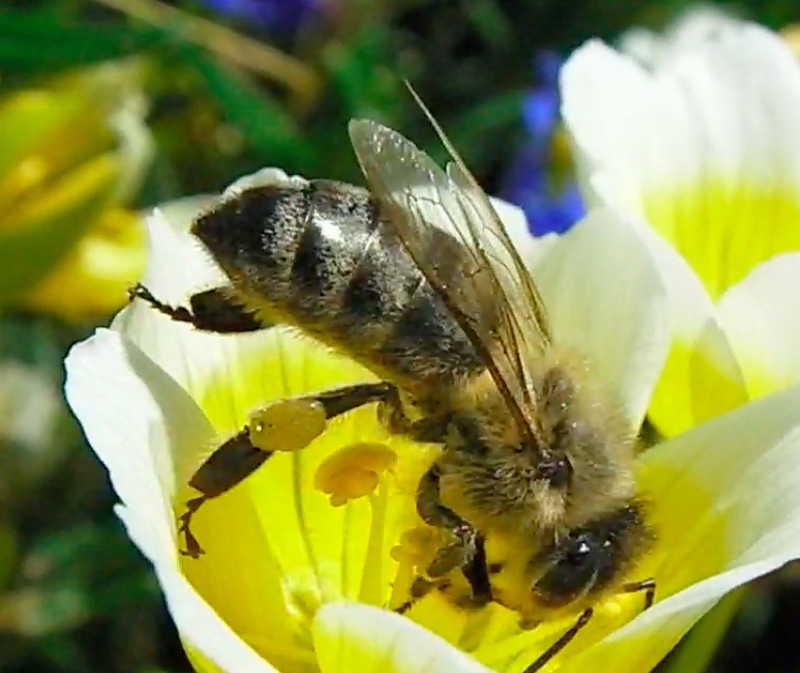 March 24, 2014…bees moved in right away. 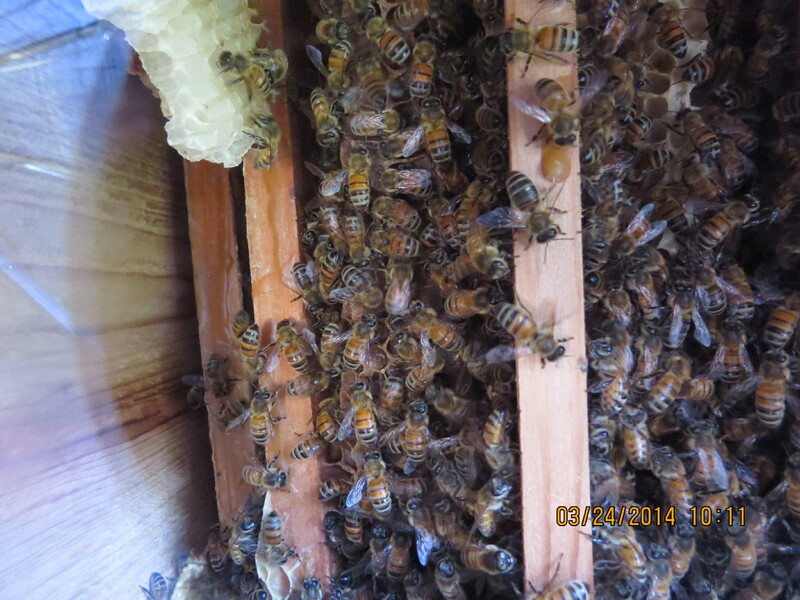 April 18, 2014…#3 box is 3/4 full, time to add box #4. 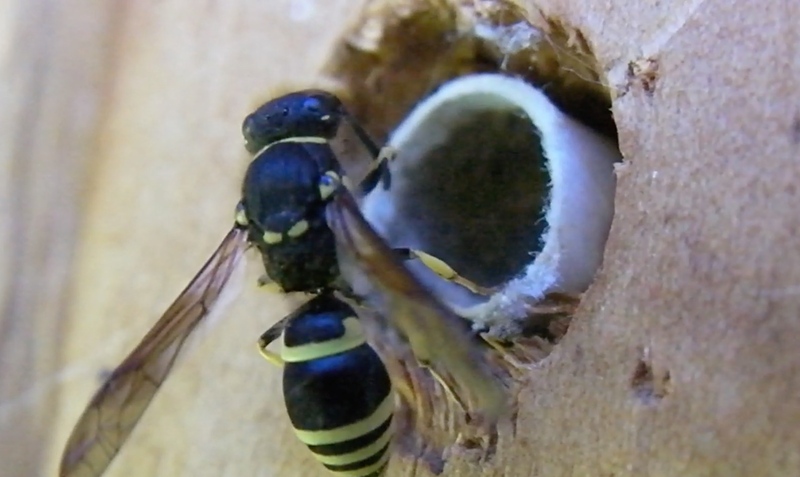 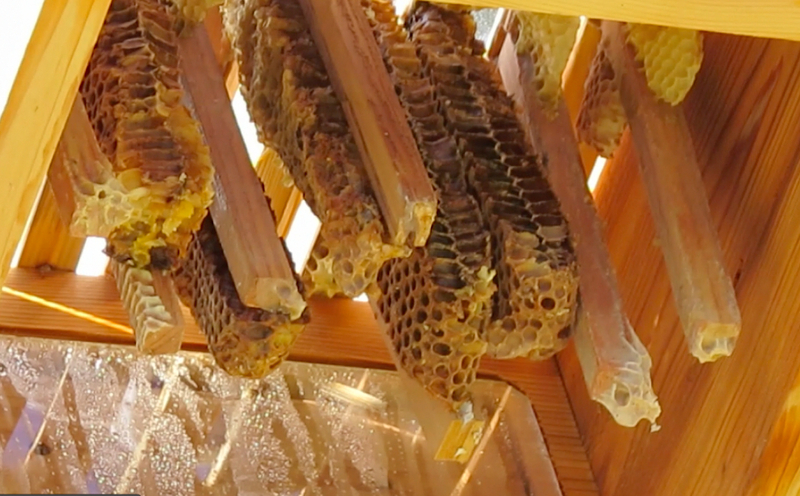 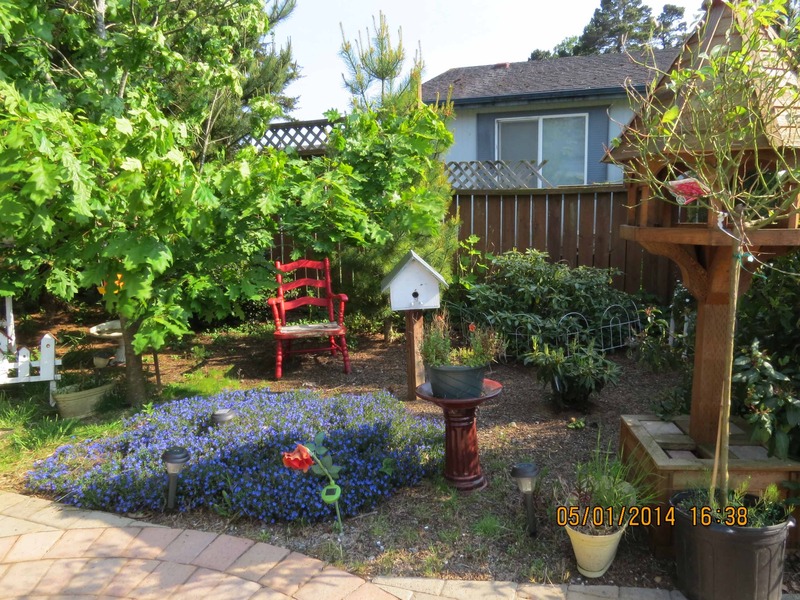 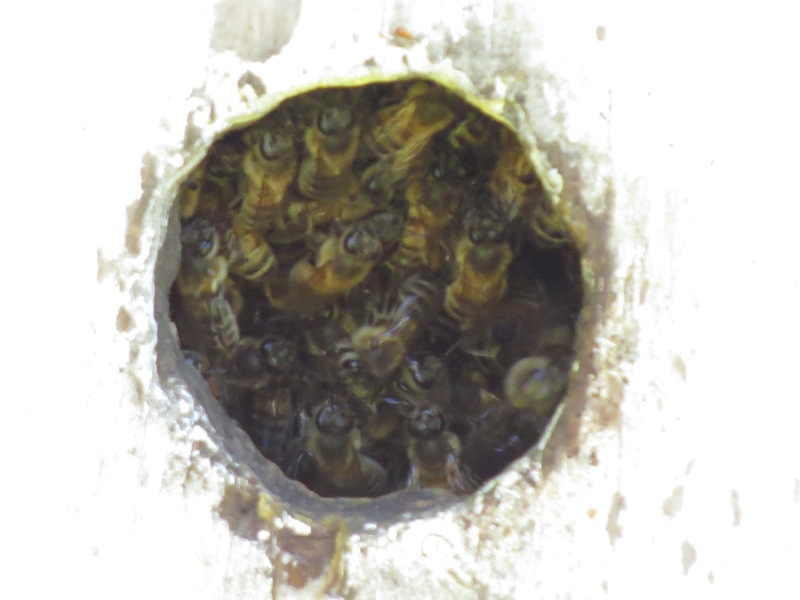 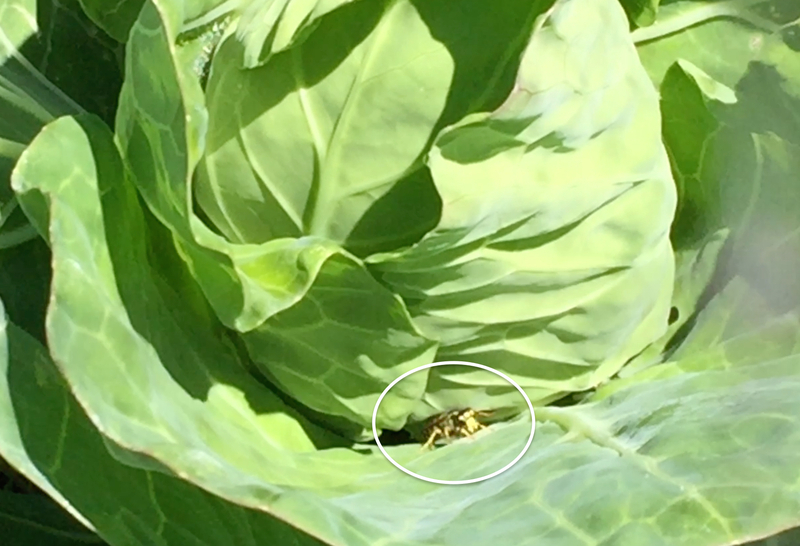 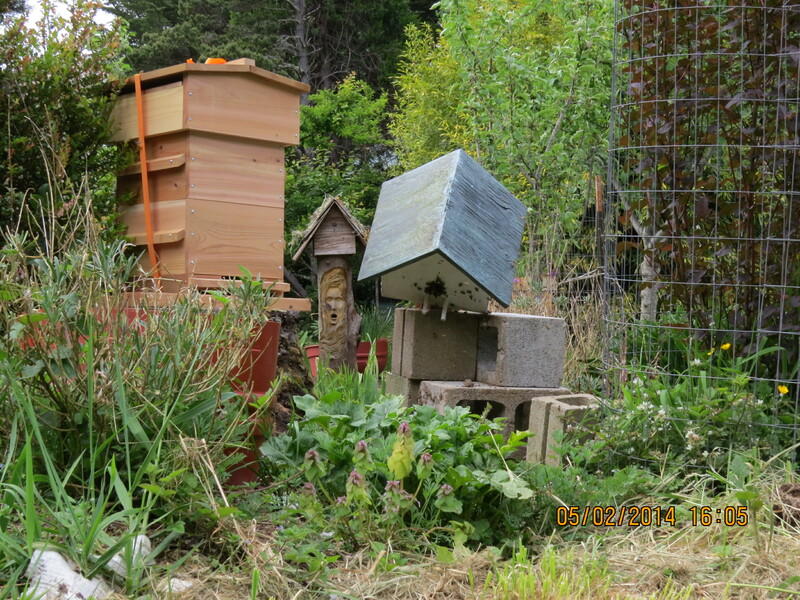 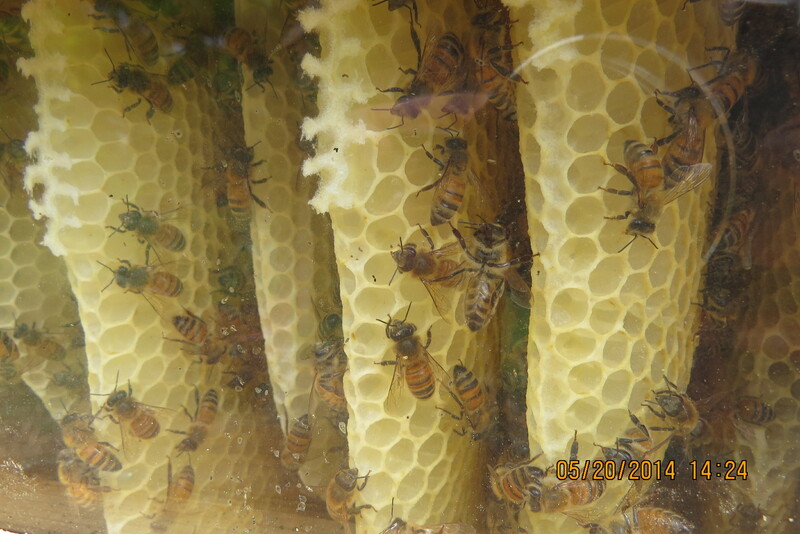 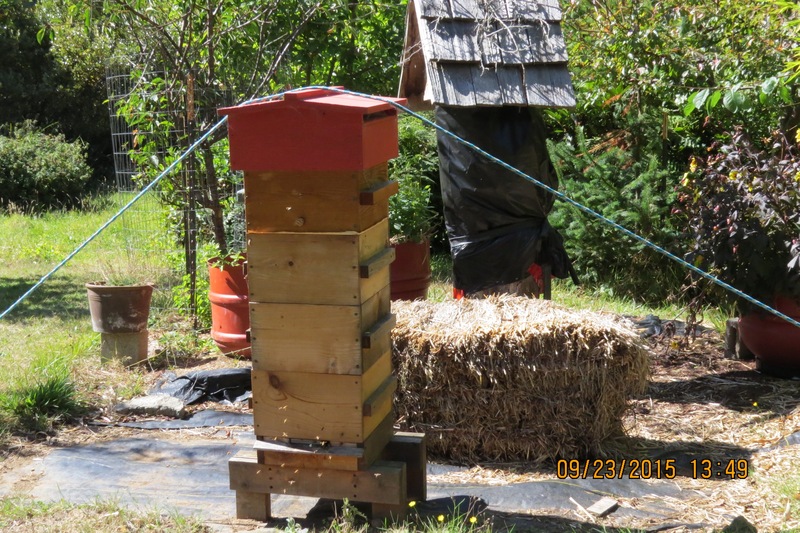 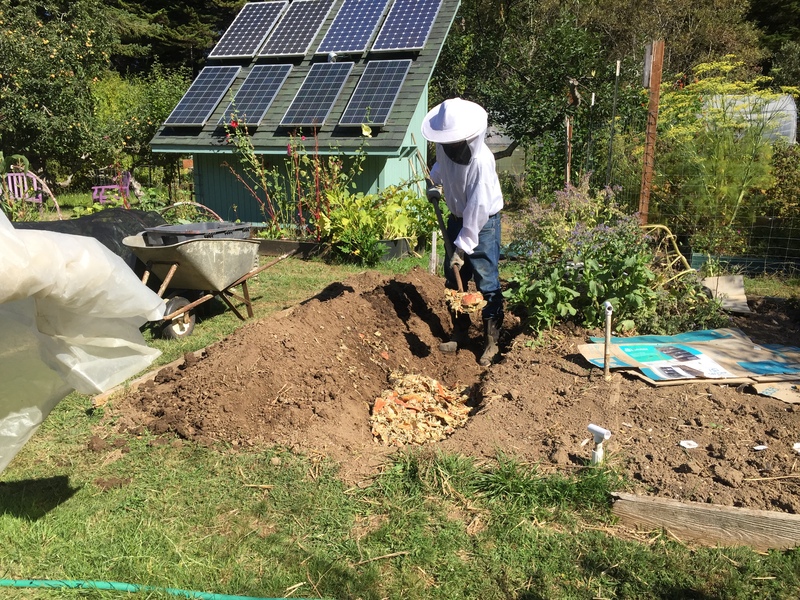 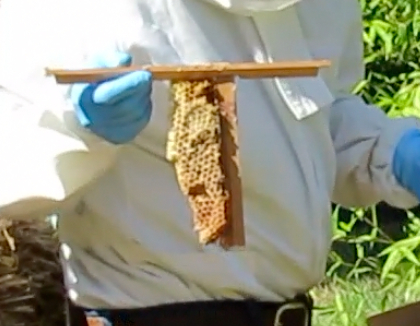 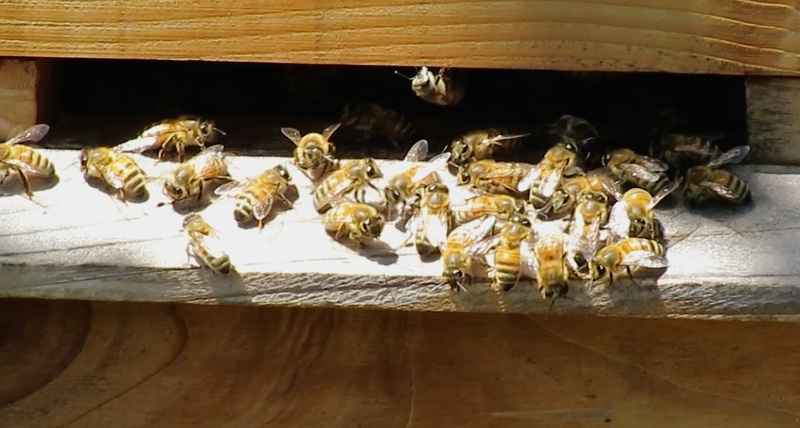 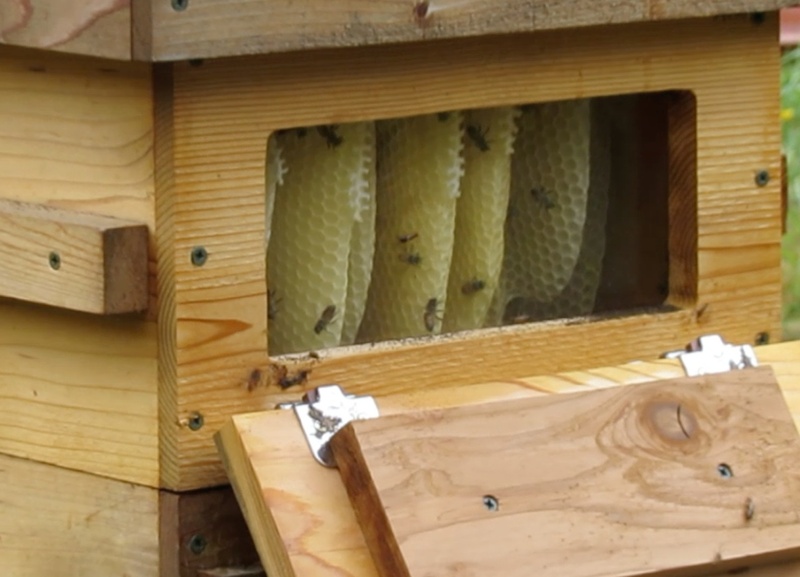 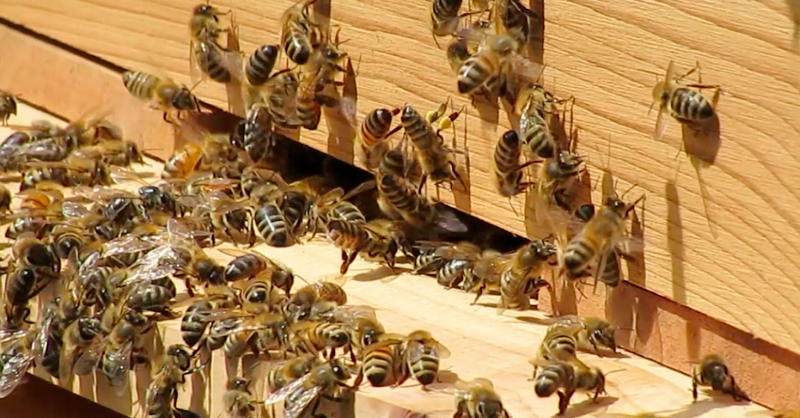 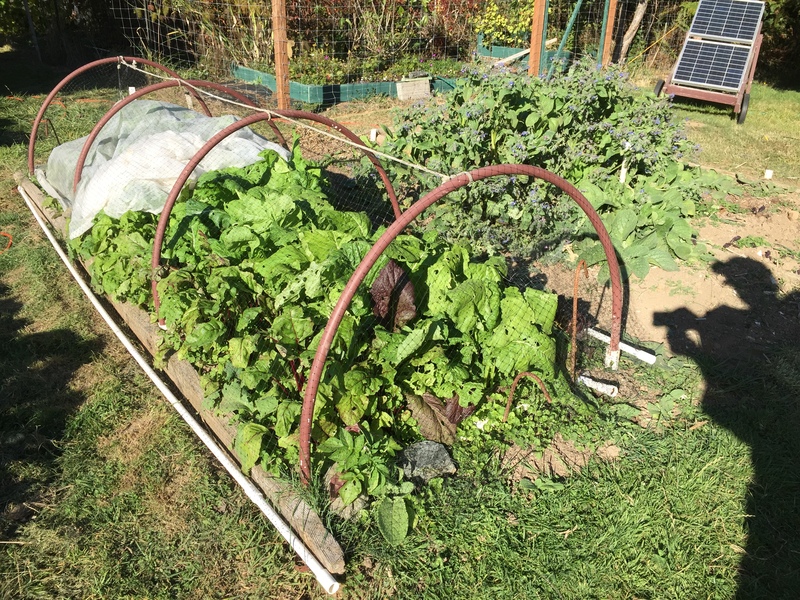 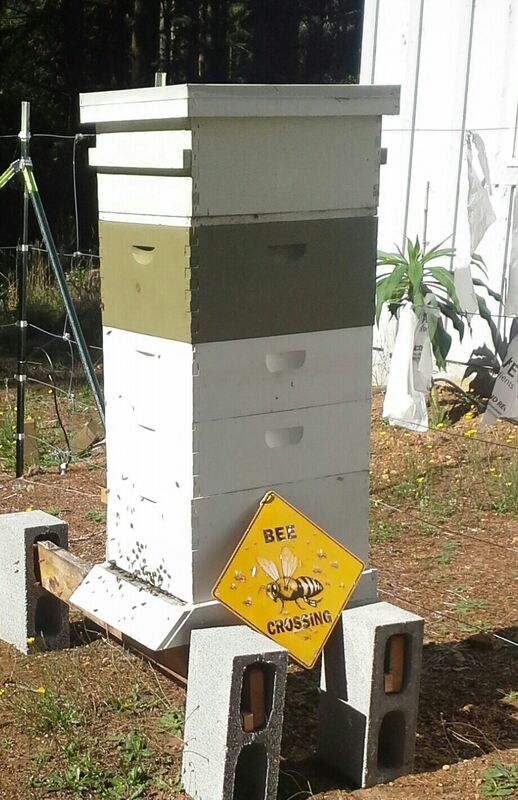 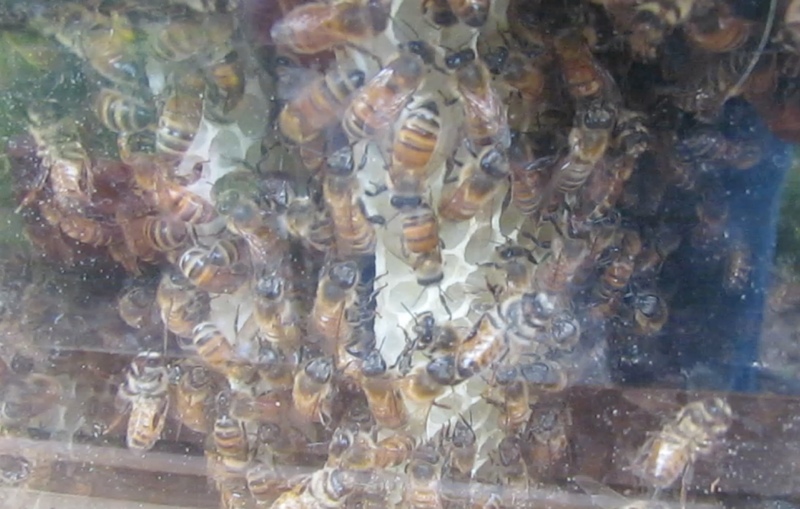 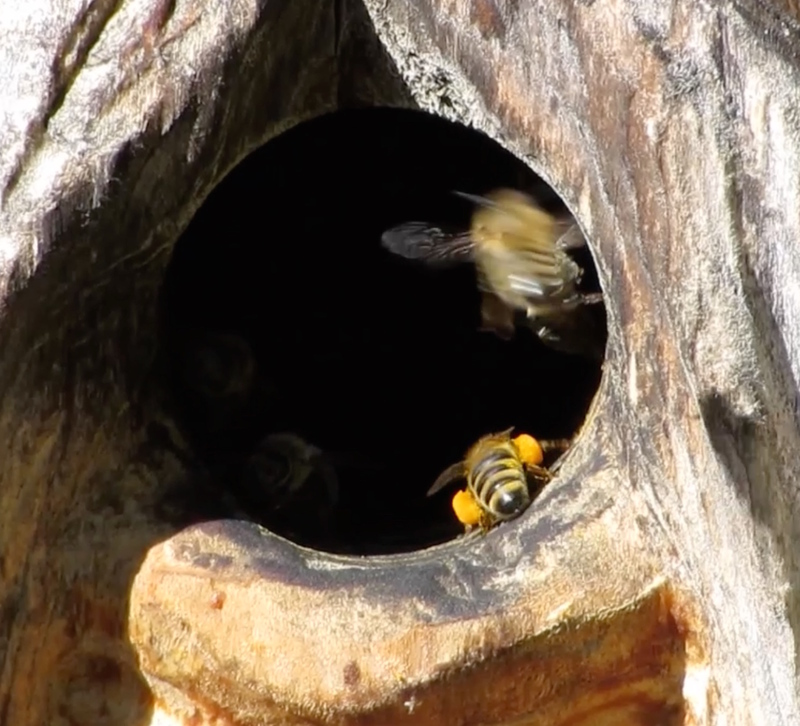 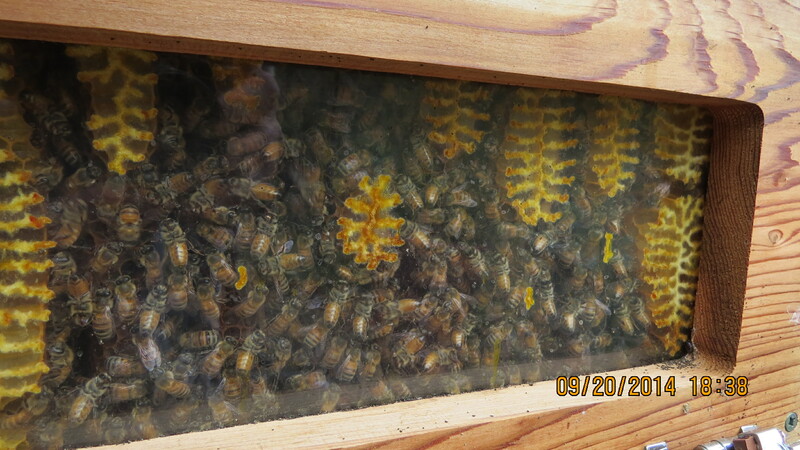 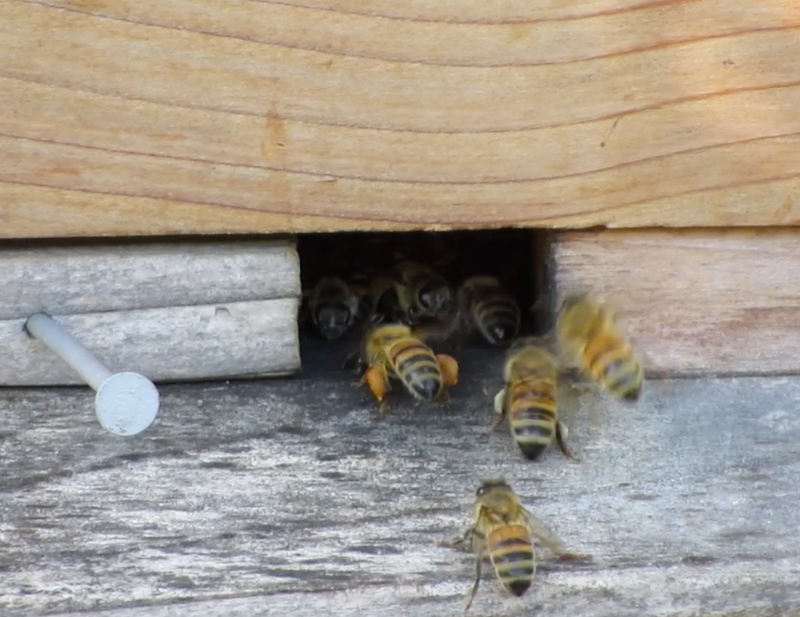 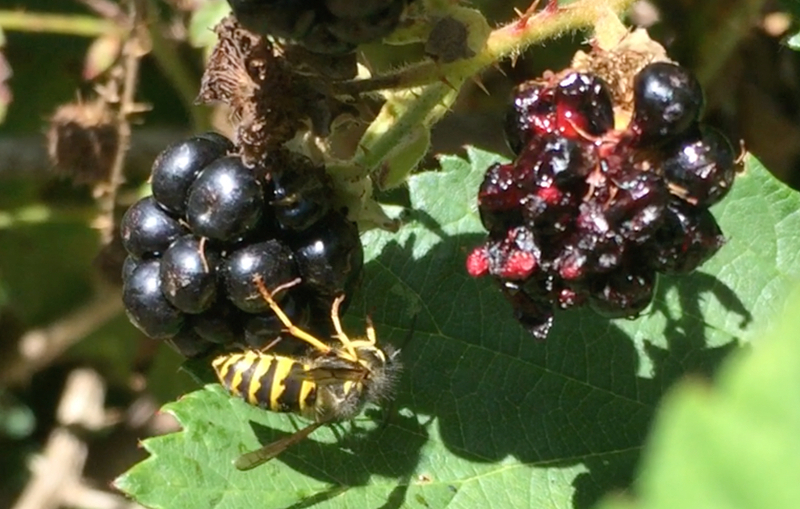 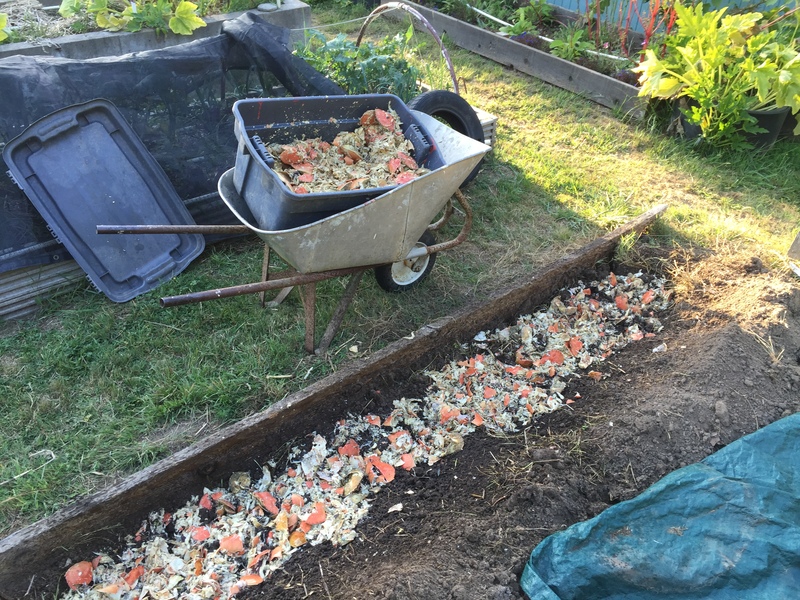 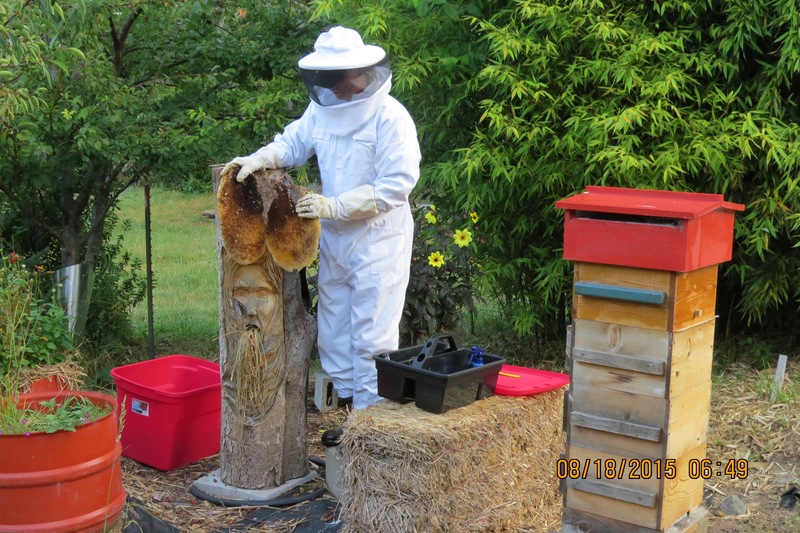 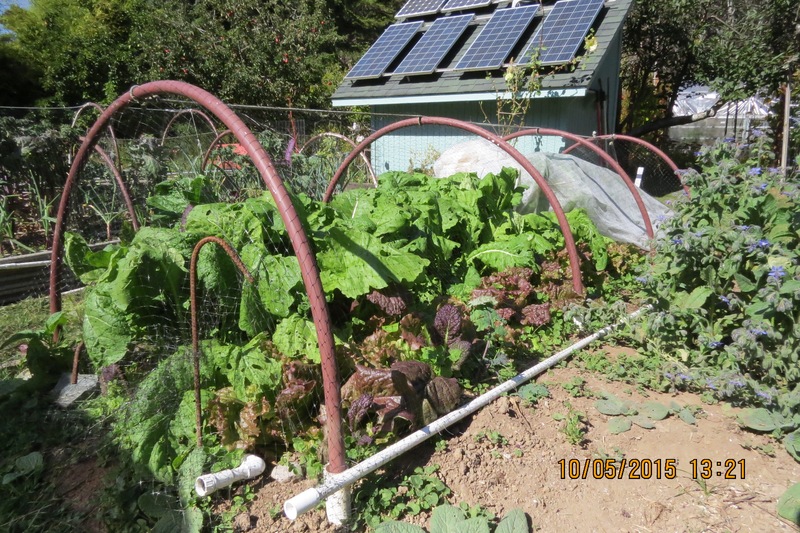 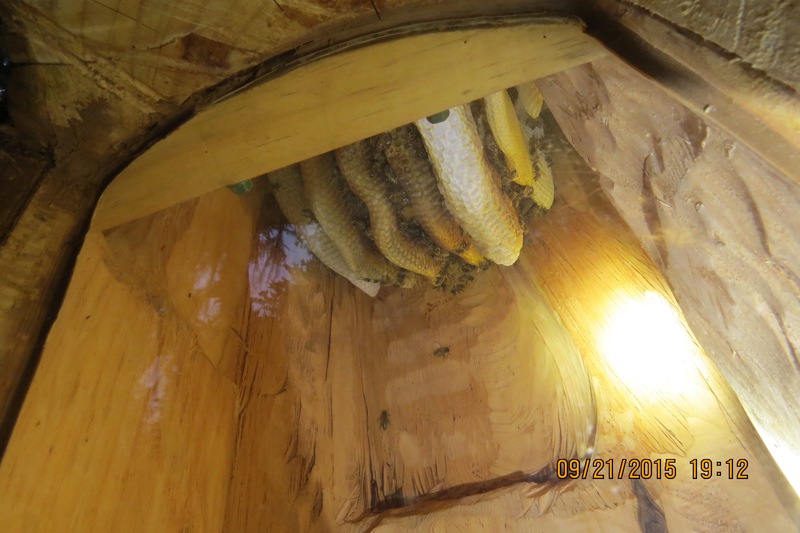 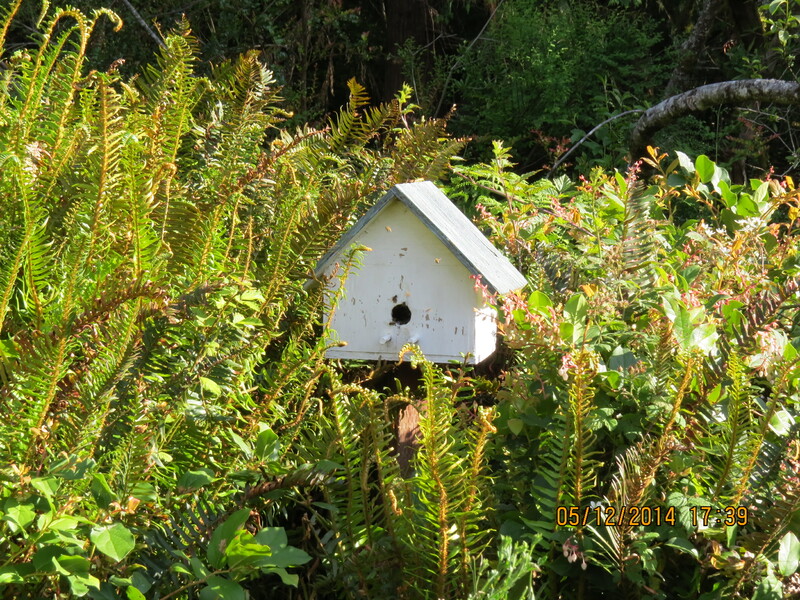 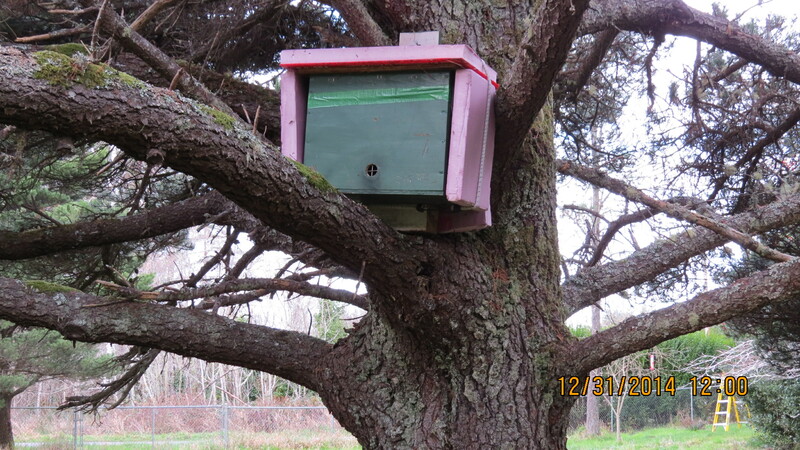 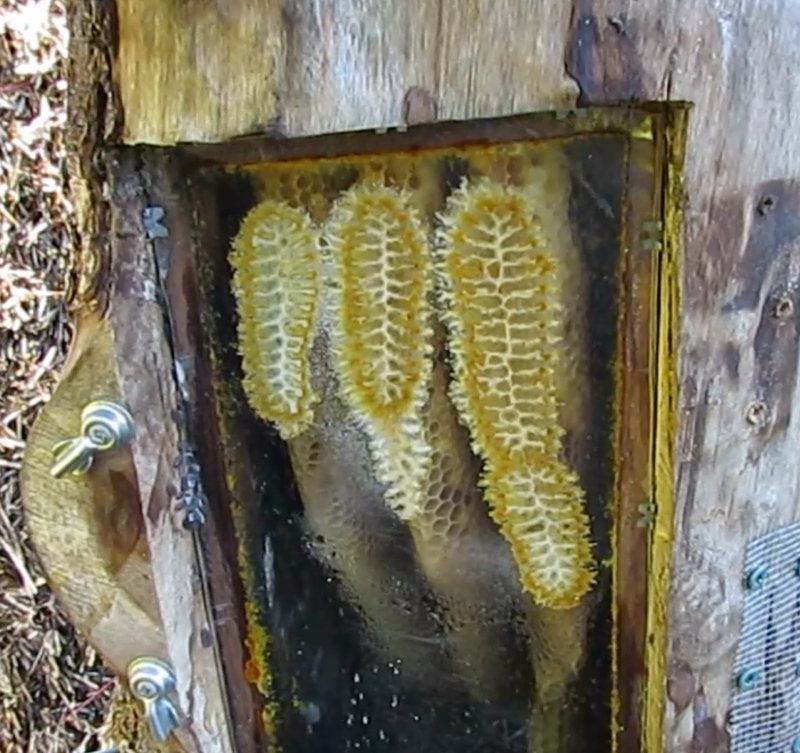 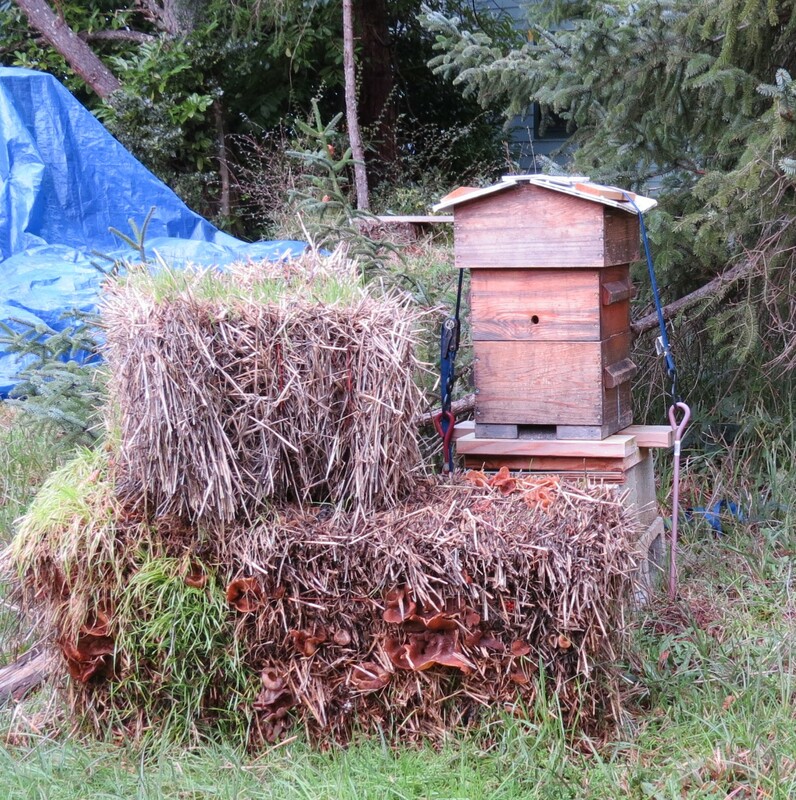 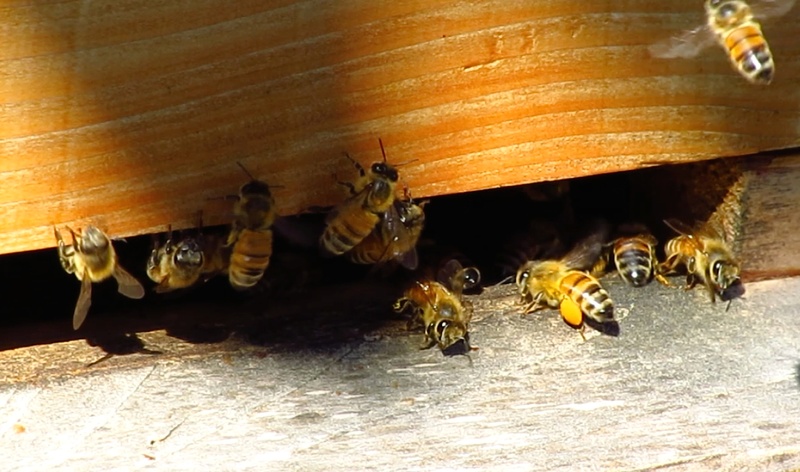 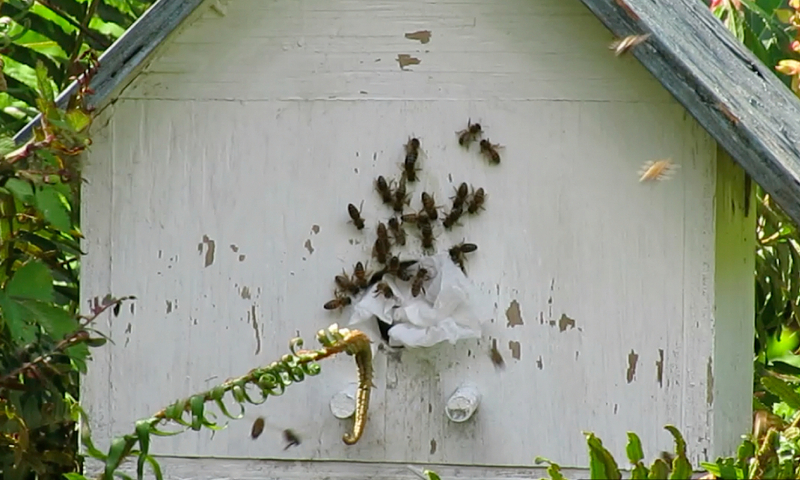 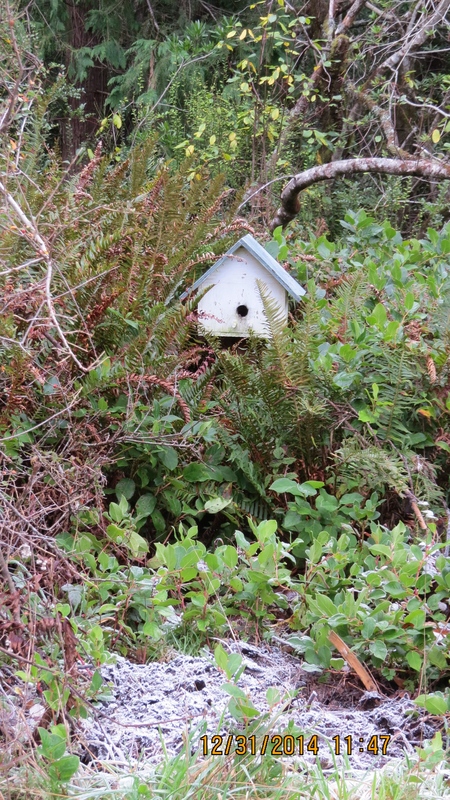 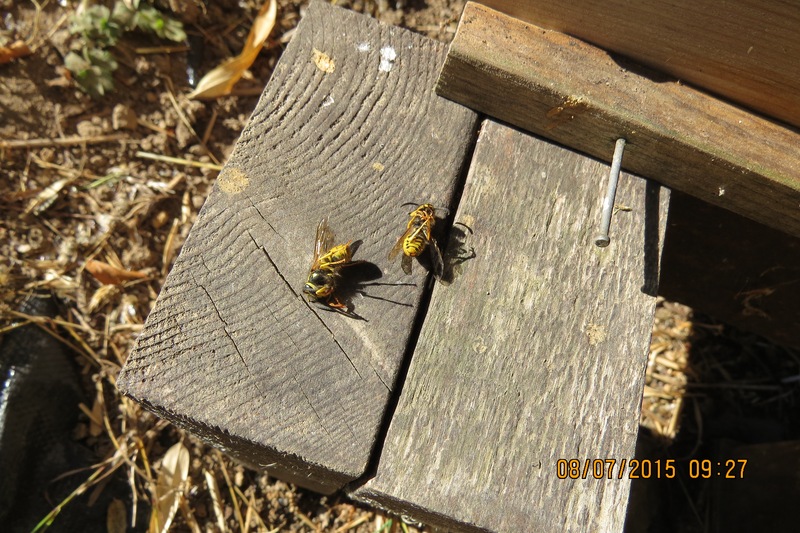 April 18, 2014…I just added box #4, again with ladders…bees move up immediately. 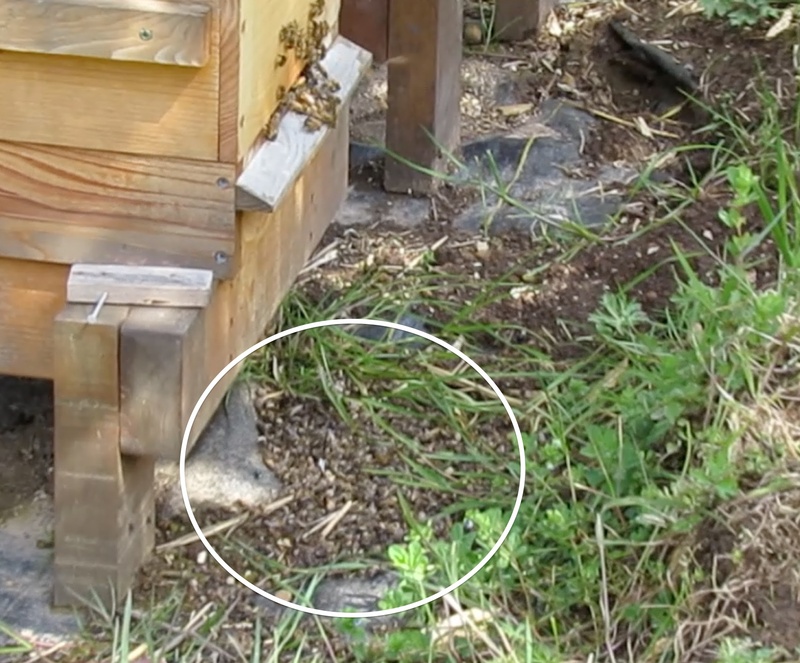 Many thanks to Johann for the deft camera work.